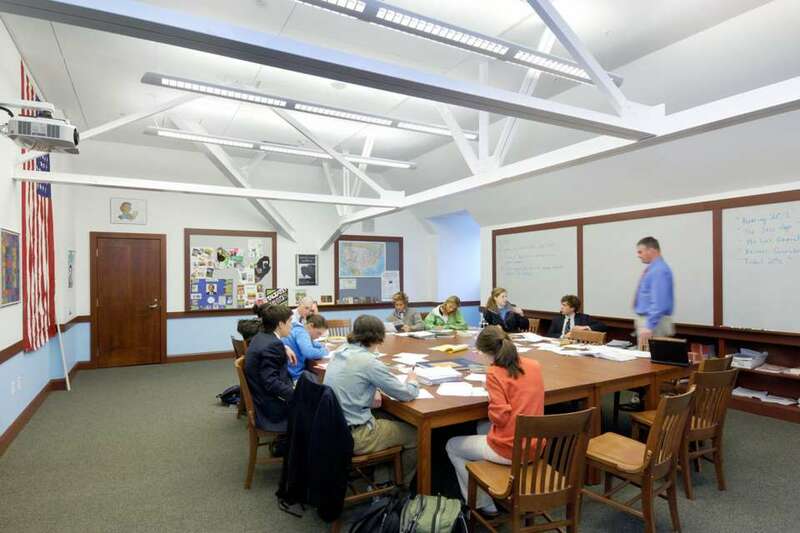 Implementing the first phase of a multi-year, six-building modernization program planned by Kuhn Riddle, the Main School Building project is a conversion of the third floor into new classrooms, offices and a dance studio. 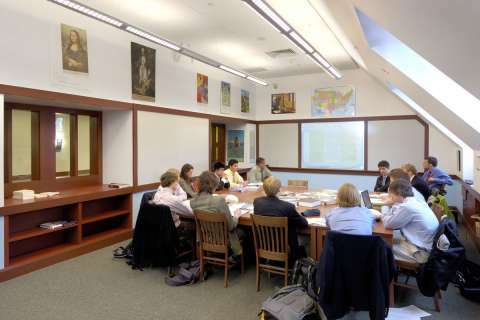 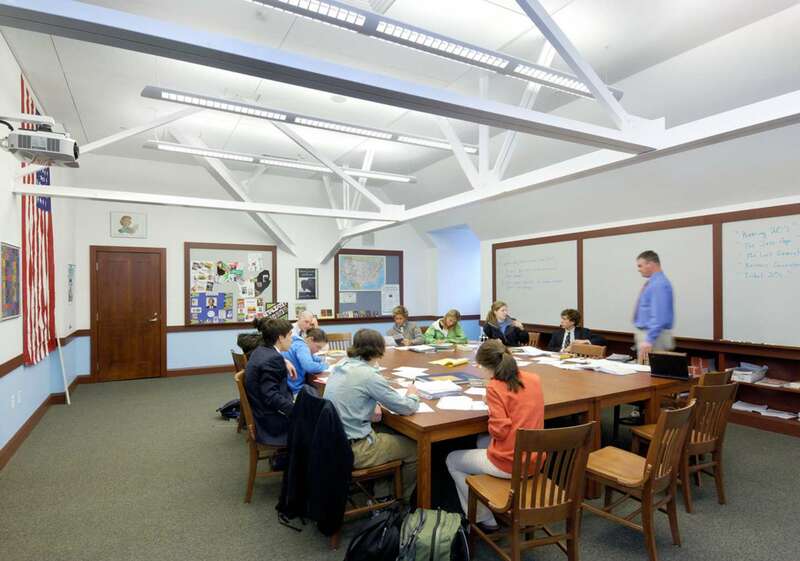 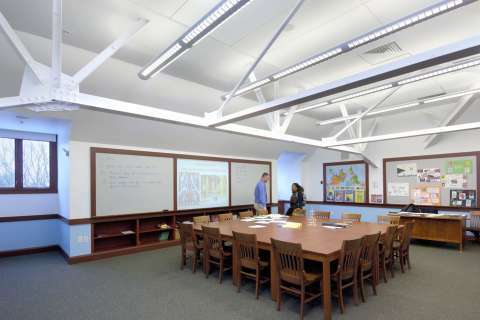 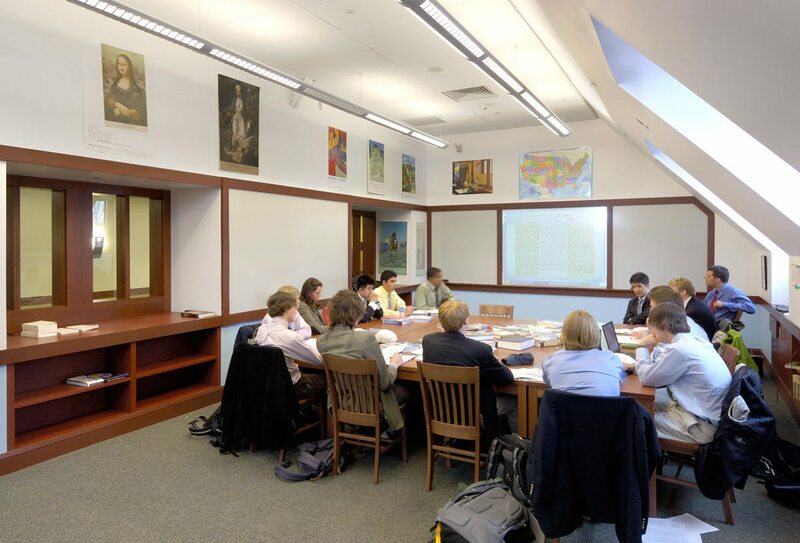 The interior design for the third floor of the Main School Building reflects the Academy’s desire to modernize their facilities, beginning with the classrooms, offices, dance studio, and lounge spaces created on this level. 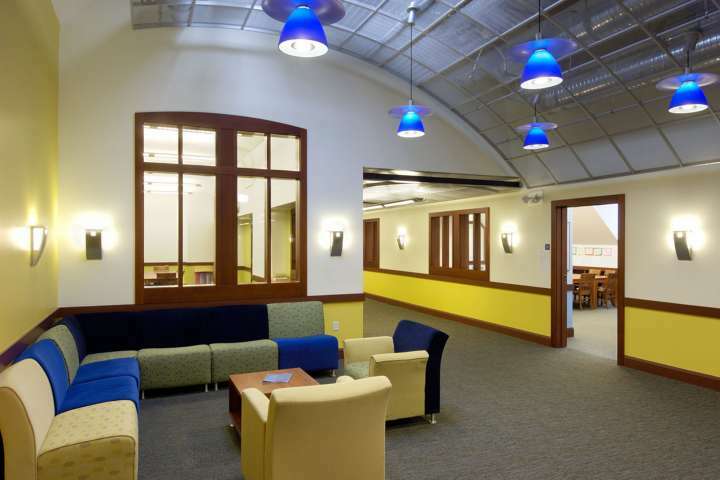 Furnishings were selected with aesthetics, durability, and sustainability in mind. 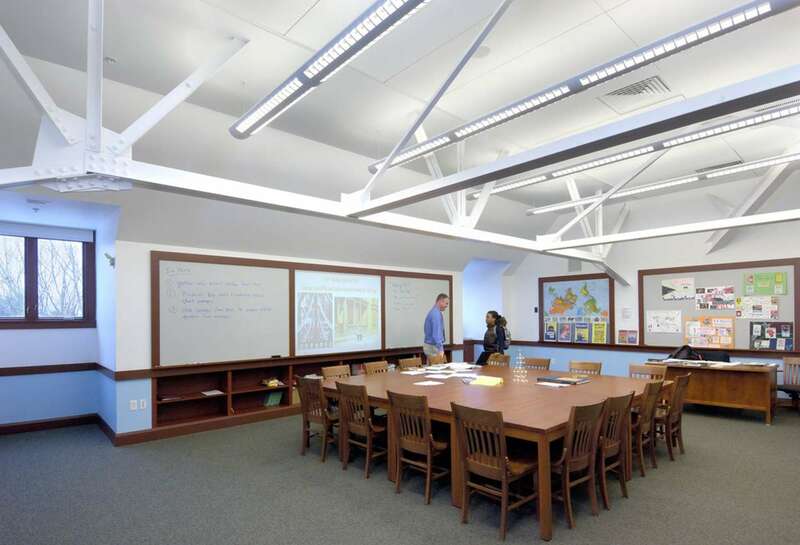 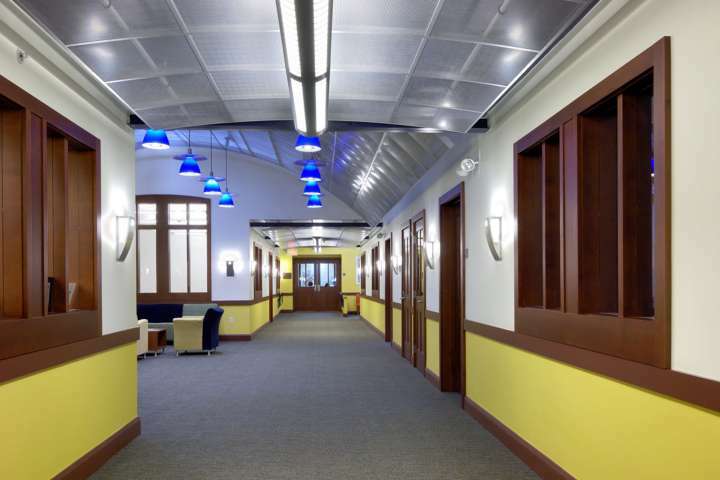 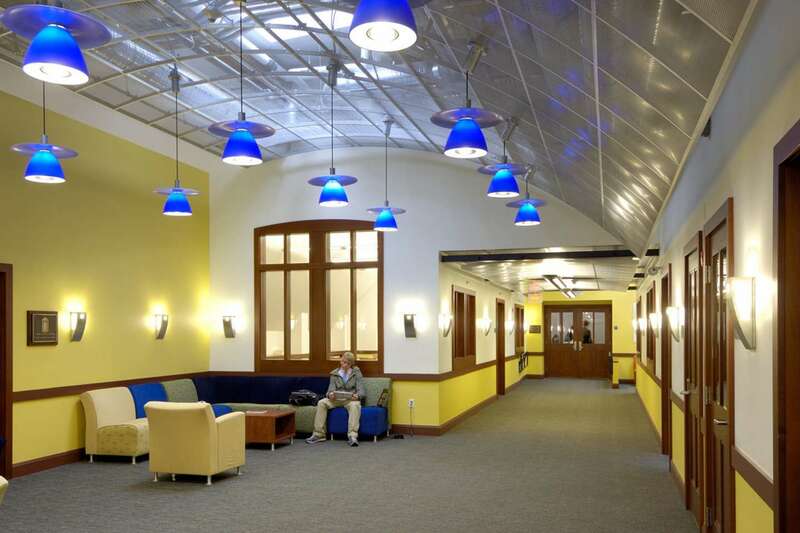 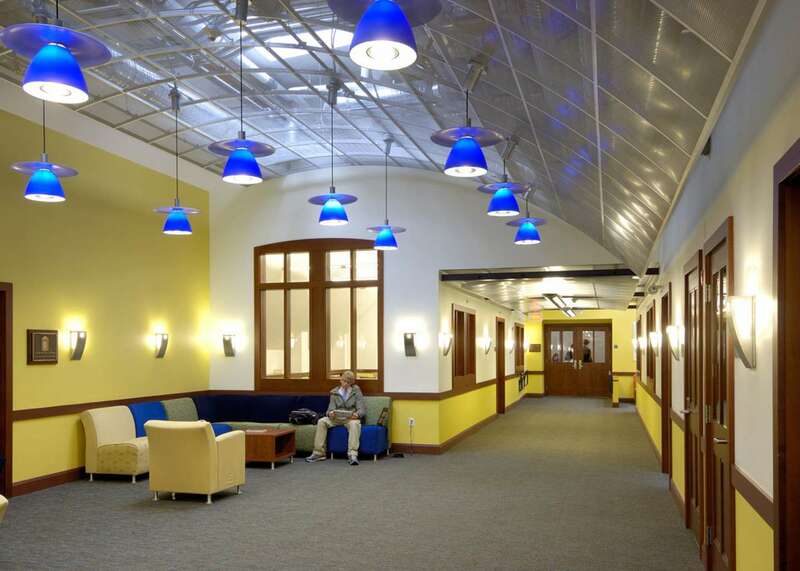 The use of vibrant colors and playful light fixtures, combined with references to the historic nature of the building, creates a unique space that speaks to both Deerfield’s proud tradition and its energetic academic community.